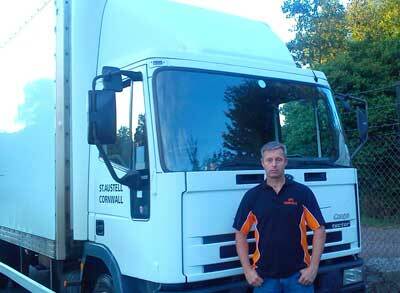 I hired CPC to move my furniture from a flat in Falmouth, to a storage facility in Cornwall. And then from the storage facility to Clifton in Bristol. CPC are a polite and professional company to deal with, and i would definitely use them again. We hired CPC to move our furniture from a three bedroom house in St.Austell, to a storage facility in Southwick. The whole move went smoothly, and we are glad we hired CPC, highly recommended. I hired Steve and CPC to move some furniture from our house in Rock, Cornwall. The delivery address was at Edenbridge, Kent, and CPC left Cornwall 4.30 am and arrived at Edenbridge 10.30 am. All the items arrived as requested, and I could not of found anybody more polite and helpful. Thanks Steve, I would use you again. J. Greenwood, SWW Trust, Lincoln. We used CPC to clear a property for one of our clients in Mevagissey, Cornwall. CPC was informative and professional, and the clearance was done on the agreed date. Thank you CPC. Marshall Consultants Group Ltd, Tal Parrocca, Malta. We hired CPC to move some fibre glass mouldings for a boat. The move was from St.Austell Cornwall, to Torpoint in Cornwall. They completed the move on the agreed date and time. Thank you CPC, a job well done. I hired CPC to move my furniture from a three bedroom house in Charlestown, to my new house in Bicester. The move was completed in one day, and the CPC staff were polite and professional the whole time. I would recommend them to others. Mrs. M. Mc Intyre, Lanner. We used CPC to move house from St.Stephen to Lanner. Their was a lot of furniture, and a large truck was required to move it all out by midday. The day started at 8 am and the work was completed by 5.30 pm. CPC was hard working and polite. We will recommend them to others. 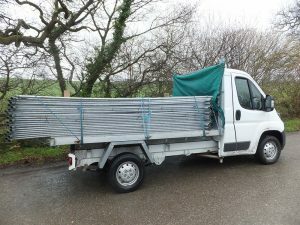 We hired CPC to move house from Trewoon to St.Austell. Steve the owner viewed our three bedroom property and suggested two men and a truck would be the most effective way to move all of our items. We filled the truck two times, and in between the heavy showers of rain the move was completed in nine hours. CPC worked hard throughout the day, and were totally professional. I would use them again, and will recommend them to others. we would highly recommend CPC. I used CPC to move my furniture from a three bedroom house in St.Austell, to Dainton Self Storage at Par. Then when my new house was ready CPC moved my furniture from Dainton Self Storage to Probus. On both occasions the staff were polite and hard working. CPC are a professional company, and I would recommend them to others. Mr.Robert Varney, Music Store, Truro. I used CPC to help me clear racking, shelves and other items when the music store in Truro was relocated. CPC also transported some racking to the Exeter branch at short notice. Everything went smoothly, and I will use them in the future, a professional company to deal with. We used CPC to move house from St.Austell to Woolavington near Bridgewater. Along with the usual furniture, a hot tub had to be moved. Steve the owner came out and viewed the situation in advance, and everything went perfect on the removal day. The whole day was stress free and we could not of found anybody more professional and polite than CPC. We would definitely use them again and will recommend them to others. We hired CPC to move house from Truro to Exeter. We had a lot of furniture, and CPC had to make two trips. Some of our furniture was very valuable, but Steve the owner made sure they were well looked after. The whole day went smoothly, and i could not of found anybody more professional than CPC, thanks A. Brown. Mrs. Maureen Smith, Stoke on Trent. I hired CPC Removals to move my furniture from a flat in Launceston, to a storage facility at Stoke On Trent. 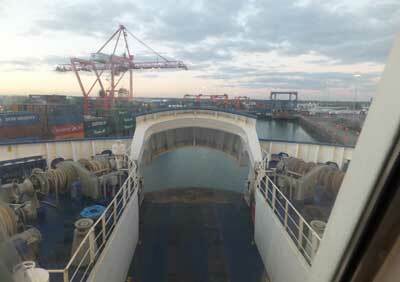 The truck arrived at 8 am as agreed and the two men started loading rite away. They were very efficient and professional, and loaded the truck in less than two hours. I met them at the storage facility in Stoke at 3.30 pm and we began unloading my items. The whole move went smoothly, and the two men was polite and helpful, CPC are a great company to deal with and i will recommend them to others. I used CPC to move my furniture from a house in St.Blazey, to a storage unit in Exeter. It took two trips on separate days to complete my move, and Steve the owner organised it very well. He was professional and polite, and i would use CPC again. We hired CPC to help us move from a cottage in Polperro, Cornwall, to a house in Brixham, Devon. CPC was advised to be at Polperro around 7 am because after this the small street gets busy. The van arrived on time and the two men started loading, they were hard working and polite, and soon loaded our items. We met them again at our new home in Brixham the same day. 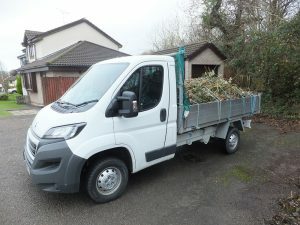 As before they worked hard to unload the van, and we could not of found anybody more polite or professional, thanks Steve and CPC we will recommend you to other people. I hired CPC to move our furniture from St.Dennis to Newquay, Steve the owner was polite and professional, and the move went well. I would definitely use CPC again. We used CPC to move our sons items from Padstow to Wadebridge. The two men were on site at 9am and the van was loaded in half an hour. The new address was on the third floor and all the items went up in the lift. Everything went well, and Steve the owner also connected the washing machine for us. We would recommend CPC to anybody wishing to move house. 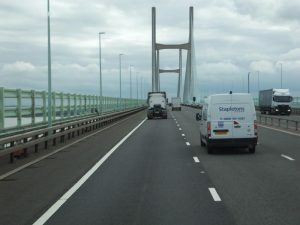 I hired CPC to help move my furniture from Devoran, near Truro, to Canton in Cardiff. Having started work in Cardiff i was already there, and i agreed to meet at my new house at 3 pm. CPC was waiting for me when i arrived, and the whole move went well. CPC are a professional company to deal with, and i would use them again. I used CPC to clear a property of furniture for me in St.Austell. The house clearance was done in one day. A piano and some small furniture needed to be delivered to Bournmouth, which was completed on the second day. CPC conducted themselves in a professional manner, well organised, hard working andpolite. I can highly recommend CPC, Thanks Alex. I hired CPC to collect some boxes from my parents house in Stanley, near Derby, and deliver them to my new address in Stenalees. Having used CPC to move house before i knew they would be professional once again. Steve the owner said he would have the boxes back in one day, and he left early in the morning. He was back in Stenalees at 6pm and although he was tired he still remained polite and positive. I would recommend Steve from CPC to anybody moving house. BRE National Solar Centre, St.Austell. We used CPC Removals to move all our office furniture, when we relocated our business from St.Austell Business Park to the Eden Project. The move went smoothly and CPC made several trips too our new office. Great care was taken, to protect our furniture, while it was being moved. And the owner Steve was polite and professional throughout the entire time. We will use them again, and would recommend them. I hired CPC Removals to help me move my furniture into my new house in St.Austell. It rained all day and their was a strong wind as well, but Steve the owner kept positive throughout the move. He was very helpful, and i would definitely recommend him to others. 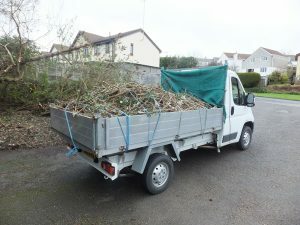 We hired CPC when we moved house from Bugle too Tregony. Their was a lot of furniture to move, and it took four van loads to complete the move. Steve worked hard throughout the day, and we could not of found somebody more polite and helpful. Thanks Steve, we will definitely recommend you to others. We hired CPC to move our furniture from Holmbush, too our new bungalow at Carlyon Bay. Their was two van loads, and on the second load, was our long leather settee. CPC had to remove the sliding patio door to gain access into the bungalow with it. The move went well, and Steve the owner even connected our washing machine for us. Thanks Steve, we would use you again. West Pharmaceutical Services Ltd. Holmbush. We hired CPC to move some machinery for us. They were polite, and professional, and we would use them again. I hired Steve from CPC Man and Van, to help me move house. The move went smoothly, and was finished in five hours. A great job done, I would definitely recommend CPC. We hired CPC for the second time, to move our furniture out of a storage facility in St.Austell, too our new house in Fowey. As before, Steve the owner was polite and professional throughout the move. The van was loaded and outside the door of our new house 20 minutes before we got the keys, and everything went smoothly. Thanks again Steve for a job well done. We will definitely recommend you to others. I hired CPC Removals, to move my furniture from a three bedroom bungalow in St.Austell, to my new house in Stenalees. Steve and Nick worked hard and completed the move in six hours. This included connecting the washing machine for me. Thanks Steve and Nick, I would definitely use you again. We used Steve from CPC to help move our furniture from our three bedroom house in Tregony into a storage facility in St.Austell. The move went smoothly including our heavy piano, and we would definitely use him again. Thanks Steve. We hired Steve from CPC to move our office furniture from Mid Cornwall Business Centre too Roche. Steve and Keven worked hard, and was polite throughout the move. They were careful not to mark any of our new office furniture while it was being transported. Carlyon Bay Occupational Health is now situated at it’s new offices in Roche. And we would recommend CPC to anybody that needs items moved, thanks Steve. CPC was used to move all our furniture from a four bedroom house in Grampound Road, to our new house in St.Austell. It was five loads in total, and Steve the owner worked along side us to get the job done. A lot of items had to be moved, and the entrance to our new house required a small removal van. We would highly recommend CPC, and definitely use them again. I hired Steve from CPC to move some furniture from my old address in Foxhole, to my new flat in Tavistock. He done the move in the evening, and everything went smoothly. Thanks Steve, I will definitely recommend you to others. We hired CPC Removals to collect some bedroom furniture we purchased in St.Austell. It was collected on a Sunday, and the move was done in under an hour. Steve the owner was polite and helpful throughout the move, and he only charged for one hour, which made it great value for money. We would definitely use CPC again, thanks Steve for all your help. We hired CPC Removals, to move all our furniture into a local storage facility. There was a lot of furniture in our four bedroom bungalow, and four trips were made in total. Steve the owner was positive throughout the entire move, and a lot of the furniture had to be dismantled to get it out of our bungalow. The whole move was done in a professional manner, and Steve and Graham was polite the entire time. We will use them again, when we move into our new house in Fowey, I would definitely recommend CPC to anyone. Steve collected a sofa and chairs for me in St.Austell, and delivered them to my new flat in St.Austell. I phoned him in the morning and that evening he helped me move the items, he was polite and helpful, thanks Steve for all your help. I hired Steve from CPC to move my sons furniture and belongings from Trewoon, to his new flat in Surbiton, London. We loaded the van the evening before, and 6.00am the next day we headed for London. We arrived at my sons new flat with no problems, and Steve gave me a free lift up to London as well because i was visiting some friends their. By 12.00pm the van was unloaded and Steve said goodbye, and returned back to Cornwall. He was polite and professional throughout the whole experience, and i would definitely recommend him to others. CPC helped us move house from St.Eval to St.Columb Major. Steve the owner was polite and helpful, and the whole move was done in one van load. 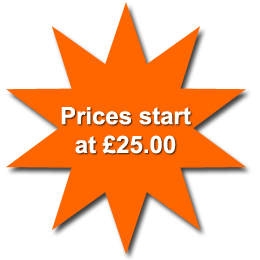 CPC was good value for money and done a professional job, i will recommend them to others. We hired CPC to move from our flat in St.Austell, to our new house in Rock, near Wadebridge. The move was completed in the morning as agreed by Steve the owner. Steve and Graham worked hard and was professional throughout the move. I would definitely use them again. Thanks Steve. We have just used Steve from CPC to move our furniture from a storage facility in St.Austell, to our new house in St.Dennis. The move went well with no problems, and Steve was polite and helpful throughout. And because CPC charges by the hour, it was good value for money. I would recommend him to others, and definitely use him again. Thanks Steve. 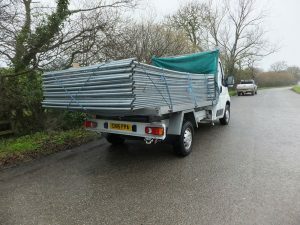 We hired CPC to move some large items of furniture for us from Penwithick to Trewoon. Steve the owner was professional and polite, and the move went smoothly with no problems. The move was on a Sunday, and because CPC charges by the hour, it was good value for money. The time predicted to complete the job was two hours, and this was exactly right. Well done Steve, we will recommend you to others. We used CPC to clear a property next door to us after a recent bereavement. We were put in charge by the relatives, to find a local company that would help clear the premises, before it went on the market for resale. Steve the owner worked along side us and the work was completed in one day. He was hard working and positive throughout, and made the task less difficult. We will recommend Steve to others. Thanks Steve. CPC Man and Van helped us move to our new house in Lostwithiel. Because they charge by the hour, they were very good value for money. Steve the owner was polite and helpful, and we will definitely recommend him to others. We hired CPC to clear our deceased family members home in Polgooth, near St.Austell. We contacted Steve the owner and arranged to meet him on a Friday evening to view the bungalow. We were only down for the weekend, and asked him if we could clear the property the next day. Steve moved things around for us and was on site 9.30am the following morning. Steve and Paul cleared the bungalow in 3 hours and was polite throughout the whole experience. We would use them again if we are in the area. Thanks Steve. We hired Steve from CPC to move us from a flat in Roche to a flat in St.Austell. He was helpful and polite, and we would use him again, thanks Steve. We used CPC to move some furniture from our house in Tywardreath , into a nearby storage facility. Steve the owner helped us on a Sunday, and because he charges by the hour it kept the cost down. He was polite and helpful. We used CPC removals for our house move, at Rock near Wadebridge, to our new house in Falmouth. Steve the owner was polite and helpful throughout the day, and the move went very smooth with no problems. Thanks Steve for all your help we will recommend you to others. I used Steve from cpc in St.Austell when i moved to my new flat. He was polite and hard working. It was 28 degrees during the move and my flat was on the third floor with no lift. Steve and Kevin worked hard and i would definitely use them again. Thanks Jackie. I hired CPC to clear my garage and garden in St. Austell. They came and looked at my property, and gave me a quote their and then. And then put it in writing for me later. 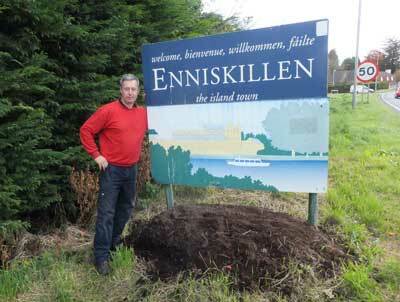 A week later they arrived at 8.00am and started cutting back my fur tree hedge and some of the bushes. By mid morning they were loading it into their van. After this they started clearing my garage of rubbish which had been there several years. The two men worked hard, and by 2.00 pm the garage was cleared as well. They left my property clean and tidy, and were polite all the time they were here. Well done CPC, I will use you again. We used CPC for our house move. The day we moved house it poured with rain all day. But Steve the owner of CPC stayed positive and cheerful throughout. We had a lot of furniture to move, three van loads in total, and it was a long day. However, we could not of found anyone more dedicated to the move than Steve. We would definitely use him again. We hired Steve from Cornwall Property Clearance through a friend of ours, who knew him. We moved to a new house in St. Austell. It was just one van load, and because he charges by the hour it worked out as good value. Much cheaper than his competitors or hiring a self drive van. He was helpful and polite. Thanks Steve. CPC helped us move house in April 2013, Steve the owner was on site throughout the day and helped advise us during the move. We moved two van loads and it all went well. Thanks Steve we will recommend you to others. We used the CPC Man & Van service to move our 3 seater settee and chair from Sticker to St. Blazey. Steve agreed to come around at 6pm and it was all done by 7pm. Very polite and helpful, well done Steve, Thank you. Tiger Aspect Pictures Ltd, London. We used CPC Removals when filming in Cornwall. The company was always available when we required them, and they never let us down. We will use CPC again if we require these services in Cornwall. We hired CPC Removals to move two houses into one large house in St.Austell in a single day. The day was very busy, however CPC worked hard and completed the work. The staff was polite and hard working, and we will recommend them to others. I hired CPC to move us from a three bedroom house in Luxulyan to St.Austell. The two men were polite and hard working, we would use them again. We hired CPC to clear six bedsits for us in St.Austell. CPC did an excellent job and we are glad we used this company, Thoroughly recommended. Mr. Simon Ellison, Henley on Thames. I hired CPC Removals to move my items from St.Austell in Cornwall, to my new address at Henley on Thames, near London. They arrived at my new address mid day, and the whole move went smoothly. The staff were polite and helpful, and i could not of found anybody better, thank you CPC. We used CPC to move some items from a care home in Whitestone, Holsworthy, to a care home in Salisbury. Steve the owner was polite and professional, and we are glad we used him. We will recommend him to others. I hired CPC to help us move from a four bedroom house in Duporth to our new property in Lostwithiel. The two men worked hard, and were polite throughout the day, i would definitely use them again. We used CPC Removals to move from a cottage in Rescorla, to another cottage in Charlestown. Their was four van loads in total, but the staff were positive and polite throughout the day. We would use CPC again. We hired CPC to move house from Trenance in St.Austell, to Charlestown. It was the second time we used CPC, and they were polite and professional on both occasions. We can highly recommend CPC Removals.